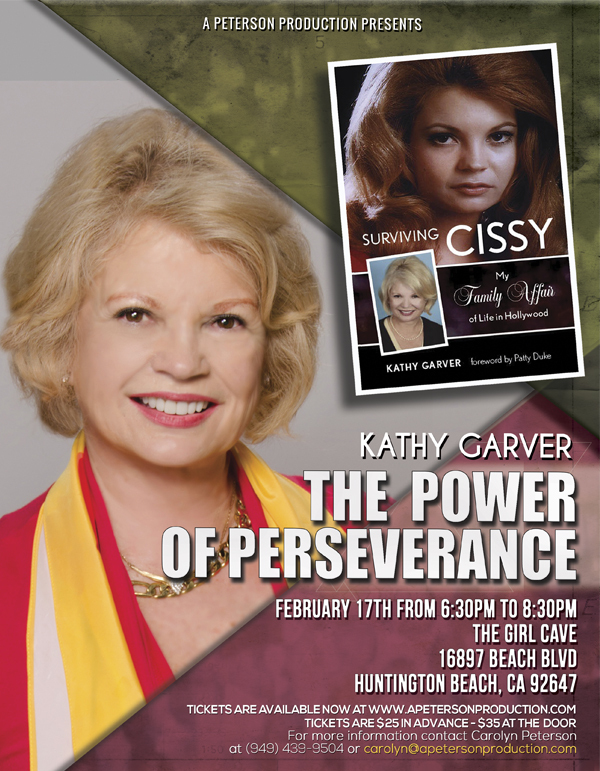 Kathy Garver, author of the award-winning memoir, “Surviving Cissy: My Family Affair of Life in Hollywood,” shares anecdotes, witticisms and insight in her story of survival in the often-treacherous path of child stardom. Unlike so many of the young stars of Hollywood, Kathy was able to rise above the pitfalls and trappings that befall so many in the entertainment industry. The question is – what is it in Kathy’s spirit that enabled her to escape the trials and tribulations of her fellow child stars, to rise above the inevitable rejections faced when they become adults and to overcome personal struggles, some of which we all experience? One trait that Kathy has displayed repeatedly is her strength of spirit, her perseverance in the face of adversity and a tenacity to continue on when others had long since given up and/or succumbed to addictions. Join Kathy as she shares the titillating tale of her success in Hollywood and provides insight into how she coped with the day-to-day struggles of early fame and fortune. 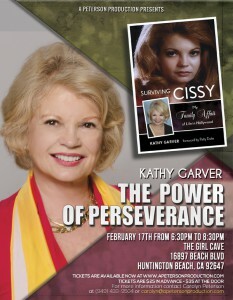 Learn how she persevered and survived in a world that few are able. And, in the process, learn how you, too, can overcome adversity and rise above whatever comes your way. Her story will enlighten as well as entertain you. Find out all the latest news and events sent right to your inbox!